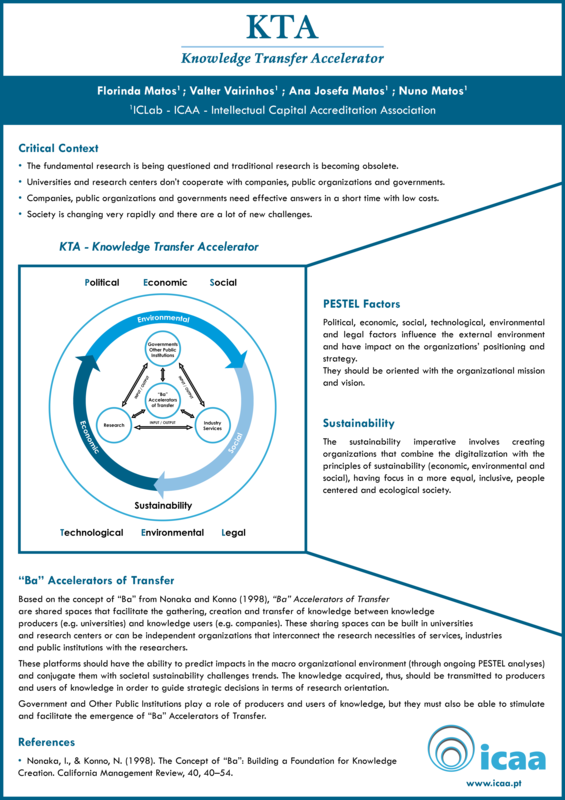 KTA - Knowledge Transfer Accelerator. In: 18TH EUROPEAN CONFERENCE ON KNOWLEDGE MANAGEMENT - ECKM, 2017, International University of Catalonia, Barcelona, Spain, 07-08 September 2017. 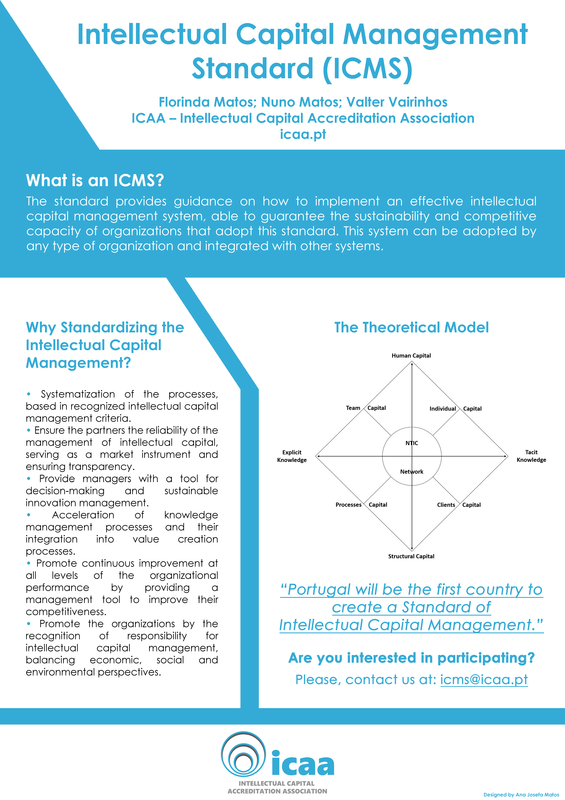 Intellectual Capital Management Standard - ICMS. In: 17TH EUROPEAN CONFERENCE ON KNOWLEDGE MANAGEMENT - ECKM, 2016, University of Ulster, Northern Ireland, UK, 01-02 September 2016. 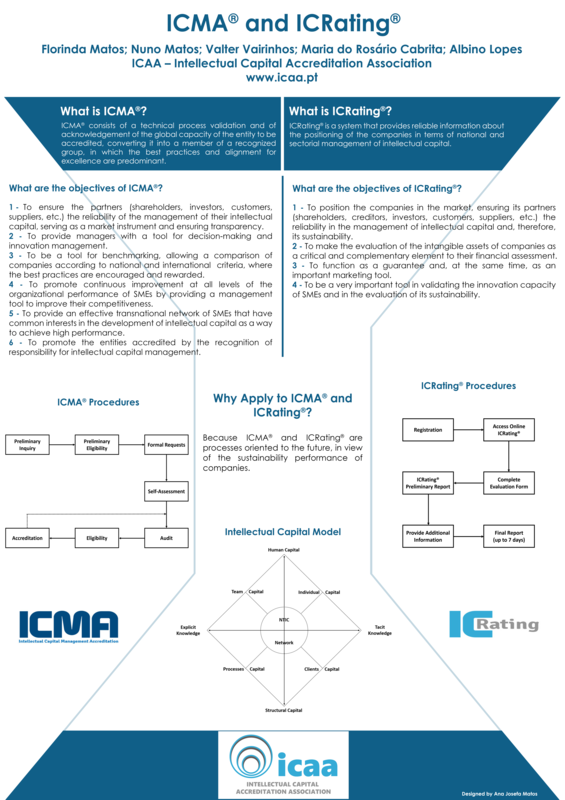 ICMA & IC Rating. In: 15TH EUROPEAN CONFERENCE ON KNOWLEDGE MANAGEMENT - ECKM, 2014, Instituto Politécnico de Santarém, Santarém, Portugal, 04-05 September 2014. 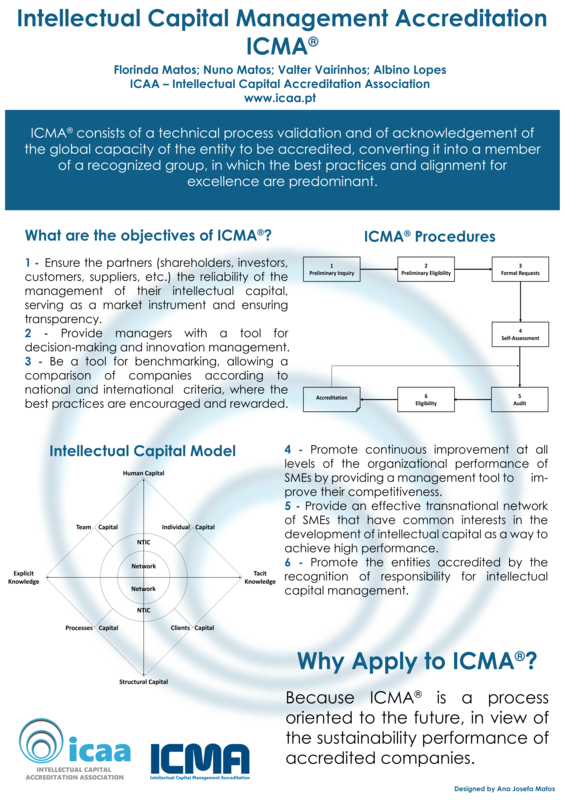 Intellectual Capital Management Accreditation - ICMA. In: 6TH EUROPEAN CONFERENCE ON INTELLECTUAL CAPITAL - ECIC , 2014, Slovak University of Technology (STU), Trnava, Slovak Republic, 10-11 April 2014.